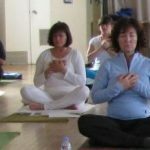 At the Kundalini Yoga Summer Experience Retreat participants have a choice of several workshops that will deepen their practice of Kundalini Yoga. Planning for the workshops we remembered how important Awareness is in Kundalini Yoga. Whenever I practice another style of yoga, it does not give me the boost in awareness that Kundalini Yoga gives me. For me, this is a special part of Kundalini Yoga. 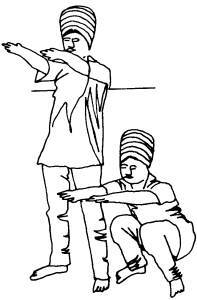 In Kundalini Yoga you do an exercise then take a short break before the next exercise. In the Fundamentals Workshop you will examine one of the tools of Awareness that comes in the form of the little breaks we take between the exercises. These breaks may seem like we’re just going easy on you, but in fact they are a very important part of the yoga set. During the breaks your mind can drift off and think about hot dogs or the last conversation you had or an argument with a co-worker. The little space between the exercises is actually a time to train your mind to put those thoughts on the back burner and redirect your thinking to your breathing and the experience of what is happening in the moment. When your mind drifts off, you firmly, but with love, bring it back to the awareness of your breath and body. For some people, these breaks can be hard at first. As you practice they can become an experience of relaxation. Technically speaking stress is a state of fight, flight, or freeze where your adrenals are working in overdrive. During the breaks your body can return to a state of relaxation or the “rest and digest” state. For those who are always stressed out, it is hard on their body because it doesn’t get back to the rest state where you can heal and rejuvenate. 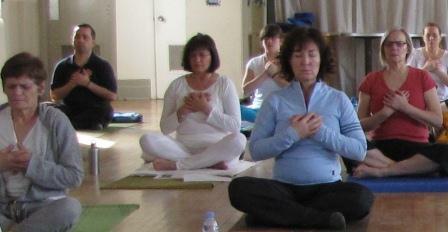 To take the Yoga of Awareness further you get into the Beyond the Basics workshop. Awareness is enhanced through longer meditation times. Again this can be challenging for most practitioners. Meditation is not all roses and sunshine because your mind will want to hold onto its patterns of thinking. By practicing letting go of these patterns, we get a chance to see things in a new way. That is Awareness, Awareness that we have habits and it can be helpful to see beyond our habits. When we do, it opens new doors of opportunity. 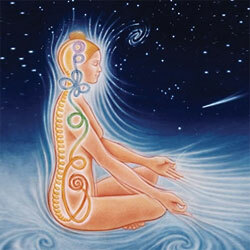 Kundalini Yoga is the Yoga of Awareness. There are many layers and levels of Awareness and the practice of Kundalini Yoga helps you peel away the layers, transform unnecessary stress, and dwell in your true self. 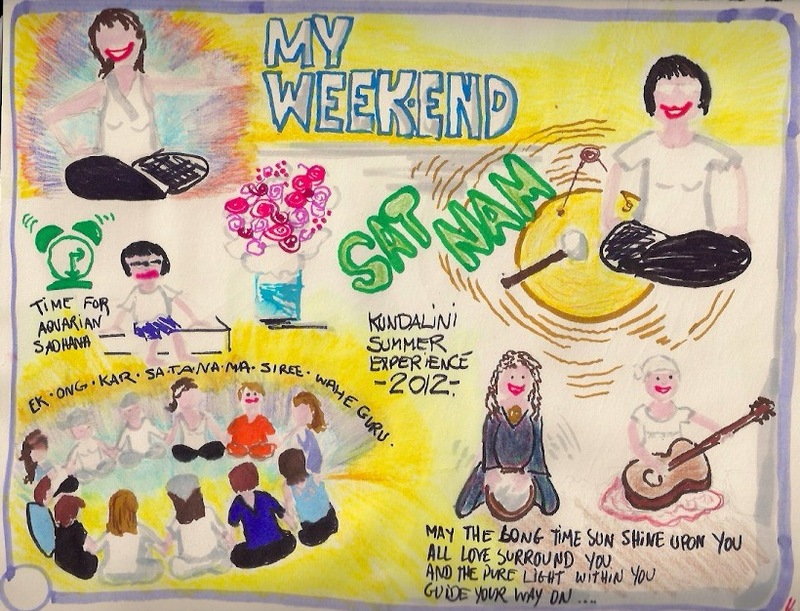 You are invited to join us to experience the power of Kundalini Yoga at the Summer Experience 2013 on August 16 – 18. The full details are at this link and you Save $50 by registering early. The Early Registration rate ends Saturday August 3, 2013. The retreat is taking place in Peterborough Ontario and there is easy connections from Toronto. Register now and give your body and your mind a summer holiday treat. 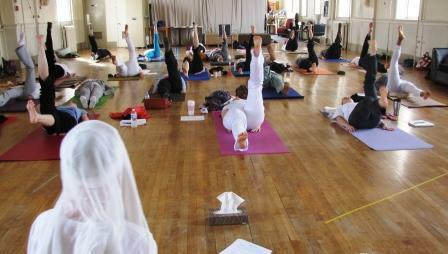 For information on Summer Kundalini Yoga Classes in Toronto, send me an e-mail at info@dayakaur.com. Sat Nam and Keep Opening those Doors of Opportunity! Valentine’s Day is a time for thinking of love. Of course we want to do this everyday, but let’s take advantage of the group consciousness and some Kundalini Yoga to activate the heart chakra. Consider these 5 Valentine’s Day thoughts and activities to contribute to the group consciousness of love and your own self love. Some of the quotes from Yogi Bhajan may get you streamed up, the meditation will enhance your projection of love, and the yoga exercises will keep your second and fourth chakra healthy. You are my Lover Lord and you are my only friend. You don’t care if I am right or wrong, for to you Lord I belong. Crow Squats (single or partner): The yogis say crow squats are beneficial for balancing sexual energy, correcting problems in the reproductive organs, and keeping the knees well oiled. Stand with your feet slightly apart for balance. Squat down into crow squat, keeping your heels on the floor bringing your buttocks to the floor (if possible). For Partner Crow Squats: Stand facing your partner, holding hands, and squat down together as above. Look into your partners eyes as you move together. Inhale Up, Exhale Down. Repeat 11, 26, 54, or 108 times. Love yourself and project love this Valentine’s Day. Let me know how it goes in the comments.